Are you looking for an industry-leading company to handle all aspects of your home renovations or remodeling projects in York, Carlisle, Harrisburg or the surrounding area? Tuckey Restoration, Inc. is qualified to develop full-scale solutions for every step in the complex process of remodeling. 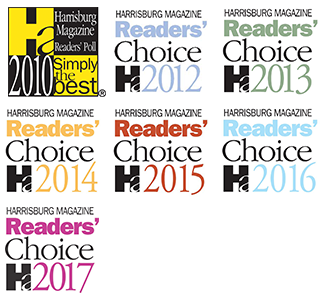 York, PA, Harrisburg, PA, and Carlisle, PA are some of our areas of operation, and homeowners and businesses across the Central Pennsylvania region can attest to our expertise and professionalism. 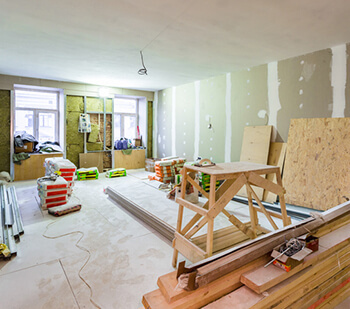 Our various projects for remodeling in the greater Harrisburg region have been specifically suited to fit your needs—the resources of our sister companies allows us to design and implement remodeling projects more efficiently than our competitors. If you’re in the market for residential remodeling in York, PA to the east, Chambersburg, PA to the south, Carlisle, PA to the west, or anywhere in between, you can trust Tuckey Restoration, Inc. to handle your project with the care and dedication synonymous with the Tuckey name. At Tuckey Restoration, Inc., our team of professionals is eager to assist you with all your home or office improvement projects, offering the quality workmanship and professionalism that is synonymous with the Tuckey brand. Repairs, renovations, additions, kitchen and bath remodeling, patios, porches, building expansions, and new construction are all projects that fall within our area of expertise. Coupled with our sister companies, we are uniquely capable of providing turnkey solutions for your heating, cooling, plumbing, and electrical needs as well. From design and development to complete build-outs, Tuckey Restoration, Inc. will work with you on all aspects of your construction project. Tuckey Restoration, Inc. has been providing essential services in remodeling and renovations in York, PA and the greater Harrisburg vicinity for almost two decades. The company has become an industry leader in all aspects of restoration, from emergency clean-up, mold remediation, duct cleaning, and damage from the elements. All of our restoration projects are unique and require an amount of expertise in the field that can only be found in our dedicated team of restoration specialists. The demand for Tuckey restoration services for the region surrounding Chambersburg and York, PA is evidence of our proven reputation for repairing property damaged by fire, wind, and water. For our efforts in restoration in York, PA and Harrisburg, PA, we have garnered numerous prestigious awards and recognitions, including a citation for “Impeccable Workmanship” by the State of Pennsylvania for our work on the state capitol building. We also received the Chrysalis Award for Remodeling Excellence. We regularly serve customers located in and around the South Central Pennsylvania region, including Carlisle PA, Harrisburg PA, York PA, and Chambersburg PA. Please contact us for information on our extended service area. Carefully planned and meticulously executed, your next remodeling or new construction project is just a phone call away. Call us today at 717-249-7052! "As usual, the service David W. from Tuckey Mechanical provided to us was first rate. 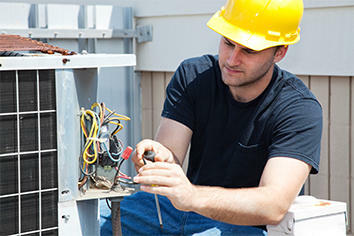 He arrived early to service our HVAC system and went right to work. I had told him about a concern about our outside unit we had, and he checked it carefully, assuring me all was good with the unit. He is a friendly, efficient, professional workman. In fact, his work was so unobtrusive, my wife asked me at one point, "Should we check on him? I don't hear a thing from him down there (in the basement) and hope he is OK." We have used the various Tuckey companies many times for a variety of projects during the last twenty years. In fact, Kenn Tuckey himself oversaw personally the building of an addition to our home a few years ago. All their work has been top-notch; once when a problem appeared some months after the work, the company rectified it quickly and fairly. I recommend all in the area to consider using the Tuckey Companies for any home-related service. It is a pleasure doing business with everyone associated with this fine company."